We occasionally get enquires from ex-owners, or their family, looking for their old Mirror dinghy. Sadly it's unusual to be able to track down the location of a particular boat, but you never know. The UK Mirror Class Association no longer keeps records of who owns which Mirror dinghy (as we did up until about 1990). However, you can do a simple search for the sail number on this website using the search menu item in the red banner at the top of the site. 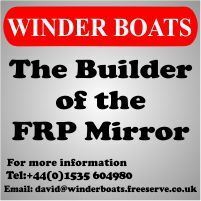 Sadly we don't have much content prior to about 2011, and what we do have is mainly open meetings, Mirror championships and boats for sale, so it's quite possible for a Mirror to be sailing or racing at a club without it cropping up on our site. You can also try Googling "Mirror dinghy <sailnumber>", but again, if she's just be cruised, rather than raced, her number probably won't show up. Another tack is to try and track her down by asking who she was sold to or looking locally to where they sailed. Boat don't tend to move huge distances when they are sold, so it's possible it might still be local to the previous owner(s) club(s). Another option, if you do Facebook, is to try posting on one, or both of the Facebook Mirror groups popular in the UK, asking if anyone knows of the boat. It's a bit of a long shot, but again, you never know. 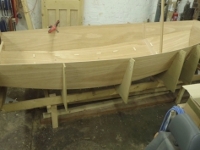 Gernot Hirsinger runs a Mirror Dinghy Forum http://forum.mirrordiscussforum.org/forum/25 and maintains (as time allows) a roll call of Mirror dinghies, so worth checking there. If you e-mail Martin Egan with the boat details and your contact details, we can create a 'boat article' for her, including that you are searching for her and your contact details. It's not much, but if anyone searches for her on Google etc., they should now at least get that article as a hit (it will take Google a few days to index it). The list is also displayed on this website (see below). Needless to say, I can add photos and history to the article if you want. Also, if someone trys to sell her through this site, I should be able to alert you. Here is the current list of boats which have ex-owners/family looking for them.